Team your kid’s scooter with a junior Globber backpack. Globber backpacks are made from high grade materials with durable and long-lasting bi colour nylon. 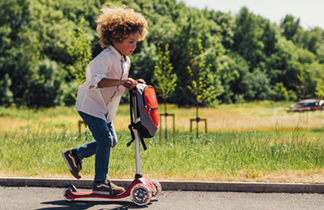 With adjustable straps and a T-bar button-hook design to attach to scooter when on the move, Globber backpacks are also perfect for the school run.